jennifreckles crafts: Hey, I baked a cake! Hey, I baked a cake! My son's birthday was this week. I made him a cake using marshmallow fondant. I'm in love. With the fondant. It tastes good! And is not evil to work with! We did cupcakes number 1-8 and the cake was, of course, number 9. 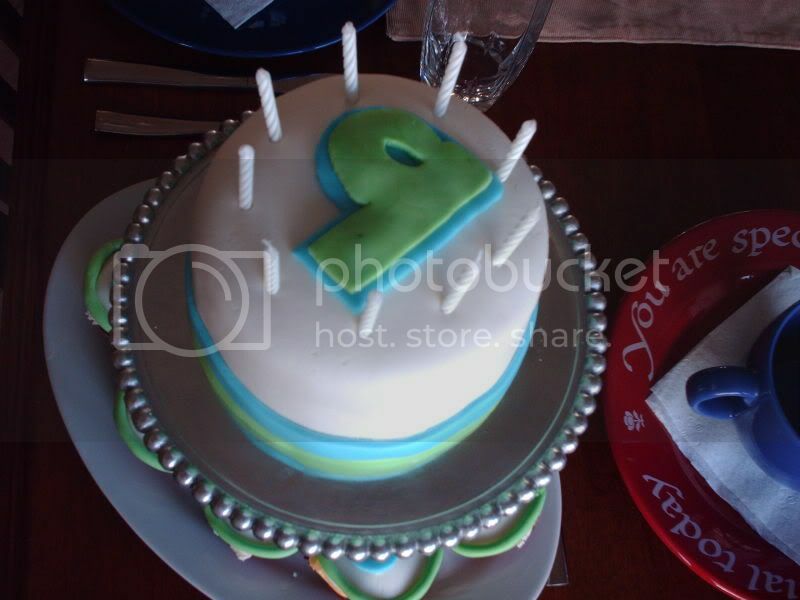 My sister-in-law pointed out that the cake was the letter b upside down. B for Benson! Of course I meant to do that. One thing I learned from this was to always sift your powdered sugar! It left little dents in the fondant that annoyed me, but otherwise was great stuff. 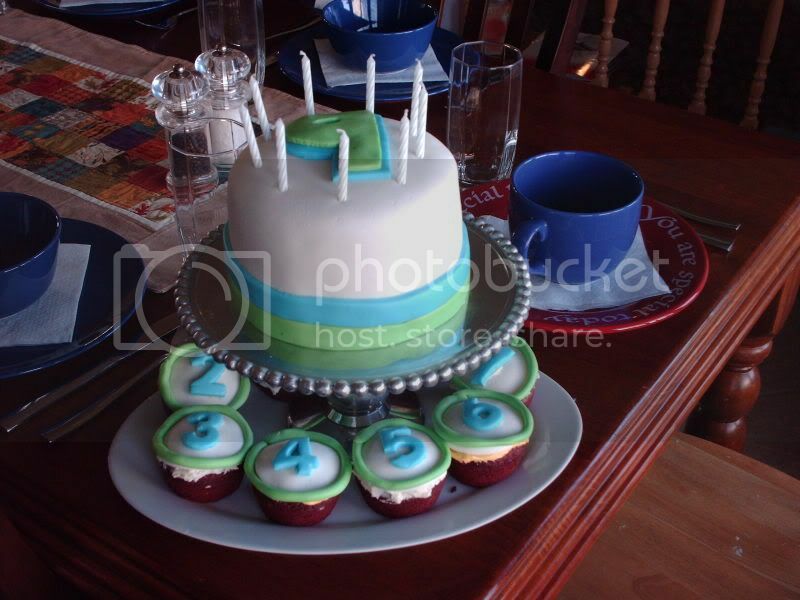 The cake inside was red velvet with vanilla frosting to adhere the fondant. It was a very colorful cake when it was cut! Jenn, the cake looks great. Way to go! Great cake! I will have to try to use fondant, I have been intimidated by it.